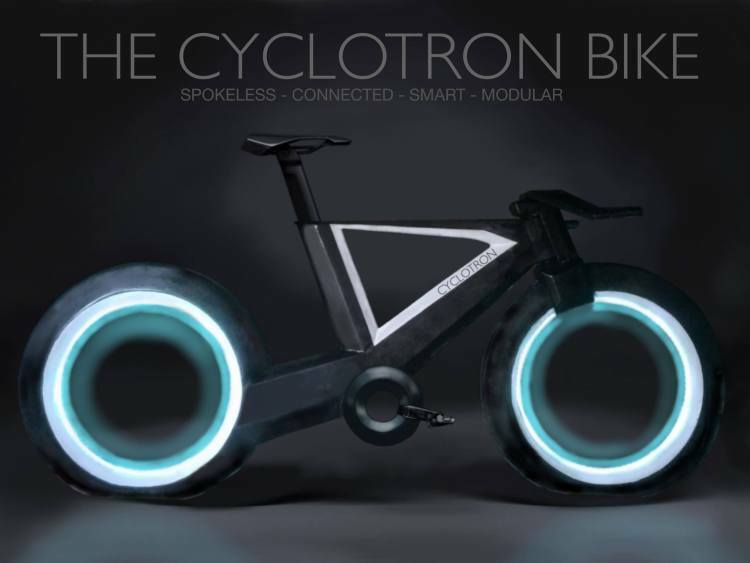 The Cyclotron is a spokeless smart bicycle that is currently on Kickstarter. The smart bike features an adjustable design to focus on either comfort or sport, and riders can make use of the space inside the spokeless wheels for accessories like a folding basket. The bike connects to a smartphone app that can track riding stats, find the bike if it’s lost or stolen, and even automatically report an accident. The Cyclotron also has built-in lights for safer rides at night powered by a self-charging battery. Riders can customize their bike with vinyl decals purchased through Cyclotron, or by uploading their own design, and parents can purchase the Wing Man Child Seat attachment to bring their little ones along for the ride.